These are lyrics by Audioslave that we think are kind of repetitive. ...'cause it doesn't remind me of anything. I love this song, I really do, but he says this at the end of every line in the verses. I guess this one wasn't too hard to write. 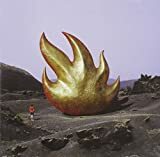 Audioslave's, "Jewel of the Summertime"
This is a nice little song, it's got a good groove, but enough with the damn jewelry already! Audioslave's, "Shadow on the Sun"
Just when you think the song is over, the music starts up again and he starts shouting this line 8+ times in this really raspy voice that's really annoying. I think this is the only time I can't stand hearing Chris Cornell's voice. Audioslave's, "Show Me How To Live"
Rule 1: Don't keep repeating the same lines over and over again.